Guitars are one of the most commonly used musical instruments. 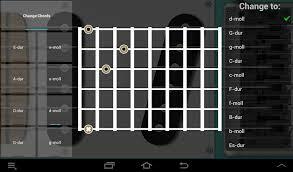 In mastering it, using some guitar software for Android will be helpful especially if you are just a beginner. 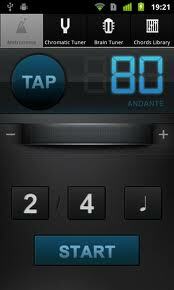 The Guitar Tuner app for Android is a virtual tuner that you can use anytime and anywhere you want. It conveniently displays a graphical guitar on the screen that you can manipulate to properly tune up your guitar. Pros: Free to download, simple user interface, easy to understand. Cons: Actual pitch of guitar not covered. The Chordbot Lite app is a nice songwriter tool that will let you experiment with chord progressions. All you need to do is to add the desired combination of chords, choose a comping style and play. You can create beautiful mixes with sounds from bass, guitar, piano, synth and drums. Pros: Free to download, with over 60 chords and more than 400 instrument tracks, lots of comping style presets. Cons: Doesn’t allow saving of tune/arrangements created. The JamBox Light Chords and Scales app supports right- and left-handed adjustments. It can display and play the most commonly used chords. It can even show the notes included in the chords shown. The app also supports guitar tuning and you can conveniently manipulate the chords you need as it displays a virtual fret board based from an actual guitar. Pros: Free to download, with 22 chord modes and 13 scales, supports left-handed mode. Cons: Displays ads, more features available on Pro version. 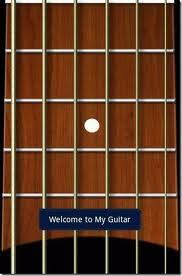 Perfect for beginners, this app will let you search for your desired chord and it will display the proper finger placement in the fret board. The app is great in learning different finger positions for different chords. You can also do a reverse search and save the data afterwards. Pros: Free to download, supports left-handed mode. Cons: Display screen is small, ad-supported. There are many guitar simulation apps around but the Real Guitar Free app is the most noticeable one in the PlayStore. Its display and sound quality outputs are superb. It can play two types of guitar strings – nylon and steel strings. 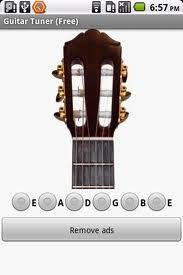 With this app, you can also strum, pluck and strike the strings displayed on your device. Pros: Free to download, sound output is recorded from a real guitar, equipped with chord database complete with tabs. Cons: With reported bugs in loading the app. This guitar simulation app will let you play a virtual guitar in your device. It can play four guitar types – nylon acoustic, steel acoustic, muted electric and clean electric. It also has four play modes – solo mode, tapping mode, chord mode and combined mode. In total, you can play 325 chords with this virtual guitar and supports studio quality sound. Pros: Free to download, multi touch support, with six sound effects. Cons: Fret board displayed is short. 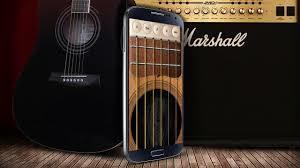 The Virtual Guitar app will transform your Android device into a classical guitar. It supports multi-touch mode and has realistic sound output. It can also be used as a guitar tuner app for acoustic guitars. 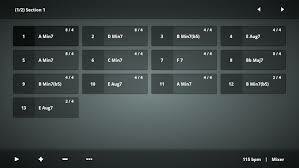 Pros: Free to download, realistic sound output, multi-touch, allows adjusting of the number of frets displayed. Cons: Doesn’t support left-handed mode. Made especially to project a virtual electric guitar, the Best Electric Guitar app is free to download online. It has 20 frets, 14 chords and 2 play modes. The app has a realistic sound output and full HD graphics. 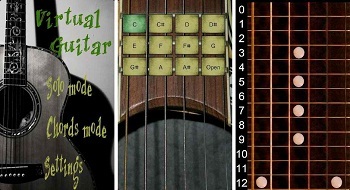 Pros: Free to download, supports chords or solo play modes, with 20 frets on display. Cons: Limited to 14 chords only, doesn’t support left-handed mode. 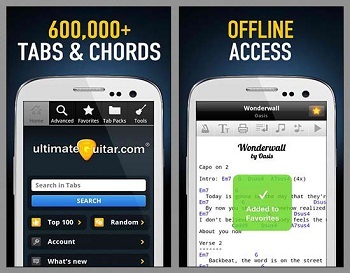 The Ultimate Guitar Tools app is packed with features. It combines metronome, guitar tuner and chords library into one single app. The Chords Library has lots of playback chords that you can use to practice your guitar skills. Overall, it’s an all-in-one companion app for guitarists. Pros: Allows custom presets for metronome, tuner picks up guitar sound even in loud situations. Cons: Costs $3.99 to download. 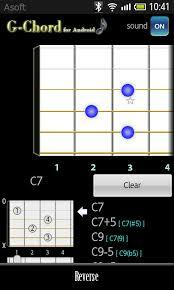 The Ultimate Guitar Tabs & Chords app features a great database of guitar tabs and chords complete with lyrics. You can have access to the database even if you are offline. It has over 800,000 tablatures and 200,000 interactive tabs with realistic sound playback. Cons: Costs $2.99, with adverts. This list of the top guitar software for Android is great to consider if you are just beginning to improve your guitar skills. There are many free guitar apps around but considering premium ones is also great if you are really looking for specific app features. Choose one that will meet your needs! guitars. I’m preparing birthday wishes for my husband right now. Very cool training app!